Well, not really… there is no “China Town” in Tampa and if you read the reviews on Yelp, many people are trying to find some authentic Asian Cuisine. This week I stumbled upon two authentic and delicious Chinese restaurants. It all started when a coworker asked me to recommend a good Chinese restaurant for his birthday dinner. For a minute I couldn’t even think of a good Chinese restaurant and it dawned on me that I don’t have my own favorite Chinese destination. After all, I should, considering I spent four months studying in Hong Kong. After rattling my brain and spending some serious time on Yelp, I narrowed it down to TC Choys and Yummy Noodle House. Both have also been recommend by some friends. So for my coworkers birthday we headed to SOHO to check out TC Choys. We then had the pleasure of trying out Yummy Noodle House’s newest location on Hillsborough Ave.
Now to the food… TC Choys is an authentic Chinese food restaurant that offers dim sum all week long. It is best know for Sunday dim sum but don’t be afraid to try a sticky pork bun or veggie spring roll before enjoying your favorite sweet and sour chicken or pepper steak any day of the week. The meals are definitely large enough to share so make sure you order as a table. The group and I really enjoyed all the food but opted not to have dessert. Yummy Noodle House is a favorite destination for a couple of our friends. The food and portion size were hyped by our friends so there was a lot to live up to! When we pulled up to the new location we were pleasantly surprised by its modern look and appeal. However, that was nothing compared to the truly authentic and fresh dishes. We started off with an order of salt and pepper calamari which I would highly recommend. The manu calls fame to it being a noteworthy Tampa dish. You can also order other seafood with the same flavoring. 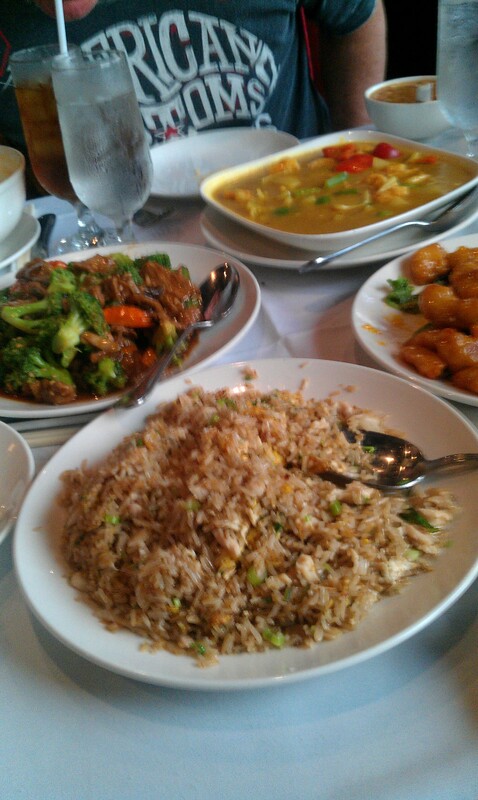 There were four of us and we ordered three disches and a rice. it was plenty of food and even enough for the next day’s lunch. So next time you are looking for a good Chinese place to try out, I would definitely recommend either of these destinations. And although there is no China Town in Tampa, it doesn’t mean you have to suffer with American Style Chinese takeout. These dishes were large enough to share and take home. I hope you find your favorite Chinese destination.